As we are well into the supposed new millennium, nearly 30 years has passed since The Amityville Horror began. To me it always has started with what George and Kathleen Lutz experienced in the house of Ocean Avenue 112. The DeFeo murder case was just that, just another murder case, or so it seemed at the time. Just a prologue. This is and have ever been, since I’ve never believed in good and evil or god and the devil, (and still don’t) difficult for me. And though I believe unequivocally in the account of George and Kathleen Lutz and their countless independent witnesses, in the actual happenings itself, my conclusion is slightly off from what was concluded at the time. More about that later (on the Theory and One Explanation pages and elsewhere). There are frauds and hoaxes in abundance in the world. People stage happenings, make up incidents for many reasons. For money, for «glory» or because they can. But this is not it in this case. 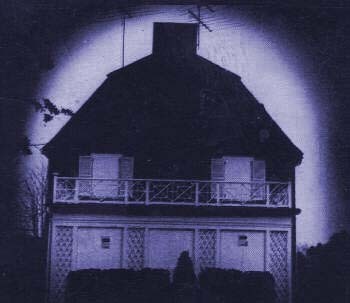 The Amityville Horror is one of the best documented cases in modern paranormal/supernatural history, with dozen of independent witnesses confirming the different parts of the story. The police has evidently, at some point been asked by someone (probably by someone with close ties to the county council or/and real estate companies of the island), to keep a lid on the truth. The book’s Fader Mancuso (not his real name) told in a later court case that he or the church had seen no proof of demonic possession. I don’t think he was actually lying. The catholic church has a very rigorous and time consuming procedure, before it may accept proof of «demonic» possession or any other supernatural incidents such as «miracles» and others. So when in court, he didn’t lie, but recounted what was and had become, the church’ official position in the matter. Thus the Lutz family, suffering so much from the wrath of supernatural forces, came to be the victims of human intolerance, ignorance, greed and fear of the unknown, as well. Thus isn’t the conspiracy by the Lutz family and «coconspirators», but a code of silence imposed by both the forces of religion, the catholic church and the modern, secular powers in our society. Seriously? Those forces, in tandem, decide what's real and what's not. The rest of us have really not much say in the matter. At least not if it was up to them. Fortunately it's not! We can all look beyond the veil of Illusion, if we choose to do so. And we should, really. There is no reason to allow ourselves to be constantly fooled, is there? The real world will always be preferable to any illusion. In closing I will have to say this site will always be incomplete. There is so much ground to cover, so much ground left to cover that I will keep updating it for years before I'm somewhat content. This is one set of pages, on this website, dealing with different themes of the Paranormal. The first Night in the year of no lord 12055, in one year of the Abyss.